CASIO CDP-135 88 Note fully weighted hammer action. 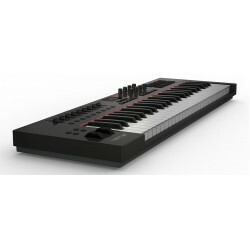 Overview Description A simple digital piano with realistic feel - 10 high-quality tones ..
CASIO CDP-235 88 Note fully weighted hammer action, 700 tones. Overview Description Enhanced functions to make learning fun AHL Sound Source ..
Tri-Sensor 88-note scaled hammer-action keyboard with built-in USB/MIDI interface and more. ..
JUNO-DS61 Synthesizer 61-note mobile synth with great sounds and hands-on operation for ambit..